DETROIT - Jury deliberations will begin Monday in the naturalization fraud case against Chicago Palestinian activist Rasmieh Odeh, who failed to disclose her convictions in three 1969 Jerusalem bombings which killed two college students when she applied to become an American citizen. 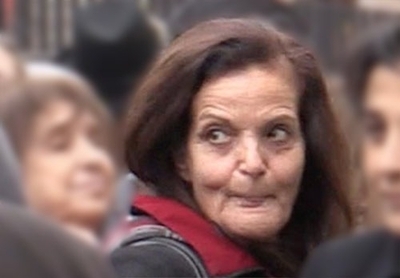 Prosecutors say that Odeh never would have received a visa to come to the United States as a permanent resident nearly 20 years ago, and never would have been naturalized in 2004 had officials known about her record. But she never mentioned it on separate applications for the visa, for naturalization and in an interview with an immigration officer that was part of the naturalization process. Odeh claims she misunderstood the questions about her criminal history, believing she was being asked only whether she had a criminal record since coming to America. For applicants who do acknowledge a criminal record, the next question asks them to describe the charges and name the city, state and country where the arrest or conviction took place. "There are an amazing series of coincidences that you would have to believe for the defendant's story to work," Assistant U.S. Attorney Jonathan Tukel said Friday in closing arguments. There is little debate that Odeh was convicted for the bombings and served 10 years in prison as part of a life sentence. She was released by Israel in 1979 as part of a prisoner exchange. She testified Friday that she lived in Lebanon for four years after her release, and then moved to Amman, Jordan before applying for a visa to come to America where her father and brother lived. But her 1995 visa form was checked "no" when asked if she was ever arrested, convicted of a crime or imprisoned. She had only visited the country once before, Tukel said, so that question clearly was not limited to arrests and convictions here. And she included only Jordan in a box asking for all the places she had lived since turning 16, leaving out Beirut and the Israeli prison. She testified that she didn't understand English at the time, and merely re-wrote answers her brother provided. Those turned out to be false answers, she acknowledged under cross-examination. But when she applied to become a citizen in 2004, she marked "no" to a question asking if she had ever provided false information to obtain an immigration benefit. She also checked "no" on questions which individually asked if she had ever been arrested, convicted or imprisoned. Even though the questions ask "ever" in bold, capitalized letters, Odeh testified that she thought she was being asked only about her life in the United States. She rejected testimony given Thursday by the immigration officer who asked the same questions during a subsequent interview required to become a citizen. The oral questions specified "anywhere in the world," U.S. Citizenship and Immigration Services Officer Jennifer Williams testified. She asks it of all applicants in every interview she does. Except one, Odeh insisted. She said she remembered Williams was kind to her and helped put her at ease during the interview. That would be one of the amazing coincidences, Tukel argued. To convict Odeh, jurors must conclude that she knowingly lied to keep her Israeli conviction secret. Other witnesses testified that a bombing conviction that involved two deaths would be deal breakers for any immigrant trying to come to the United States. While the answers weren't correct, they weren't lies, she testified. Defense attorney Michael Deutsch emphasized that during his closing argument. Although U.S. District Judge Gershwin A. Drain ruled before the trial started that Odeh could not claim her Israeli conviction was based on torture or otherwise was unjust, Deutsch made a point of saying to the jury, "I would tell you she is innocent of that, but the judge will tell you it's not an issue in this case." By mentioning the Israeli bombing conviction, prosecutors "want you to think, 'Oh, she's dangerous. Oh, she's somebody who is a threat to us,'" Deutsch said. He described Odeh as a Palestinian who overcame great suffering to build a productive life doing "God's work" as a respected community activist in Chicago. The naturalization questions asking if she "EVER" had been arrested, convicted or imprisoned are "ambiguous for anybody. Why couldn't they say in the United States or in another country in the application?" That, Tukel argued, makes no sense. He noted that Odeh was considered proficient in English and scored 100 percent on her American civics test required for naturalization. To understand that "ever" means at any time, someone doesn't need legal training, Tukel said. "You just have to be able to read." People lie in order to get something they want, he argued. Odeh wanted to move to America and knew that couldn't happen if she volunteered a full, accurate accounting of her record. If she admitted living in Lebanon, immigration officers would have asked why she moved there and "then everything is going to unravel." The notion that U.S. immigration officers wouldn't care about serious crimes committed in another country is "ridiculous," Tukel said. Not everyone can come to the United States. Odeh's conviction was for a crime serious enough to make her inadmissible, which gave her the motive to withhold it from U.S. immigration officials. Judge Drain provided legal instructions to the jury, which had time only to select a foreperson and request access to exhibits in the case before adjourning for the day. Imagine. A criminal not openly answering questions about their crimes. Actually in the US why should they? Aren't individuals, citizens or not, protected from self incrimination? If the US "officials and worker-bees" did their jobs better then nasty personal characteristics might be detected before these 'bad' people became citizens like the good people of ENRON, Irangate, Underthetable gate and so forth.